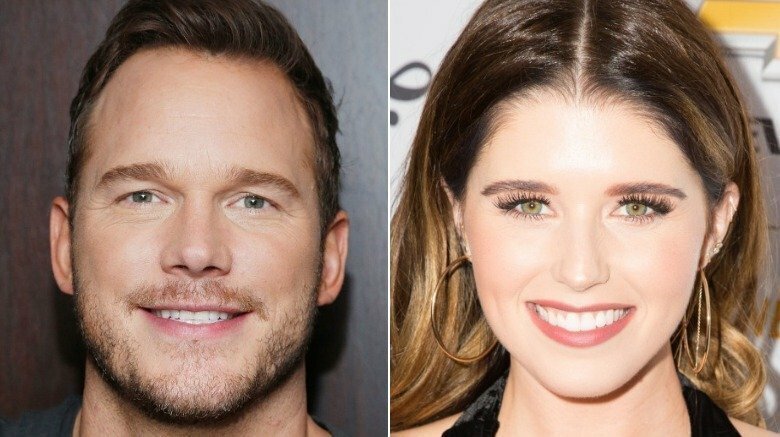 Author Katherine Schwarzenegger couldn't be prouder of her Marvel star fiancé, Chris Pratt. On Friday, Feb. 8, 2019, the eldest daughter of Arnold Schwarzenegger and Maria Shriver posted about her man for the first time on Instagram while gushing over his latest output, The LEGO Movie 2: The Second Part. "So incredibly proud of my amazing, talented and hardworking fiancé everyday, but especially today because his movie, THE LEGO MOVIE 2, IS FINALLY OUT!" Schwarzenegger wrote to her 561,000 followers, captioning a snapshot of herself showing off her gorgeous engagement ring while holding two LEGO action figures. "These special little characters (that were played with every morning and night) Emmet and Rex are voiced by my love, and he did such a great job!" She concluded her post with, "Head to the theater tonight with your friends, family, kids or even with your pup! It's so much fun and all about the power friendship! Yayyyyy LEGO!" As Nicki Swift previously reported, Pratt, 39, and Schwarzenegger, 29, who were first romantically linked in June 2018, announced their engagement in mid-January 2019. At the time, the Parks and Recreation alum shared a sweet photo of himself kissing his new fiancée on the cheek. "Sweet Katherine, so happy you said yes!" Pratt wrote. "I'm thrilled to be marrying you. Proud to live boldly in faith with you. Here we go!" Readers may recall that the happy couple's whirlwind romance followed Pratt's recent divorce from Mom actress Anna Faris. The amicable exes, who share 6-year-old son Jack, had separated in August 2017 after eight years of marriage. "We tried hard for a long time, and we're really disappointed," Pratt and Faris, 42, released in a joint statement at the time. "Our son has two parents who love him very much and for his sake we want to keep this situation as private as possible moving forward. We still have love for each other, will always cherish our time together and continue to have the deepest respect for one another." The former couple finalized their divorce last October. Schwarzenegger isn't the only celeb to break their social media silence on a new romance this week. Former Real Housewives of Orange County star Alexis Bellino took to Instagram during Super Bowl LIII to confirm she's dating a man named Andy Bohn. The reality TV star and businessman Jim Bellino previously announced their divorce in June 2018.